Now that spring has arrived, we are all pining to get outside and enjoy the fresh, soon-to-be-warm air. The Seneca Caverns are located in nearby Bellevue. They technically do not qualify as “outdoors,” since by definition caverns are indoors, but it’s still an amazing place to spend a day when you want some adventure in your life. There are few things quite like exploring caves in a safe and structured environment! Do know ahead of time, however, you’ll be journeying through cramped spaces. This isn’t a leisure stroll; it might take some effort to get the full experience. If you have physical disabilities or limited mobility, this trek may not be for you. Take a quick trip to Manfield and enjoy the nicely shaded nature trails at Gorman Nature Center. They are perfect for a warm spring day. The trails here are well maintained, and the paths are clearly marked so you can be sure you are always on course. It’s one of the most relaxing walks in the area! You can find this park right here in Crestline. The 38-acre Lowe-Volk Park boasts the educational Lowe-Volk Nature Center and its many programs to enjoy. Add to that the beautiful natural lands, a rich history, and a highly varied ecosystem to explore, all of it in a relatively small area, and you have a great spring day. If you’ve never wandered this hidden treasure, you should try it this spring! Take a quick drive to Bromfield and enjoy a relaxing walk through the rolling fields of Ohio. The beautiful property is still a working farm, so there is a lot to see! The annual Maple Syrup Festival is a true joy, and there is a surprising amount of Hollywood memorabilia on display here, too, making this a great day trip for families. For first time visitors, it can be shocking how much beauty is jammed into this gorgeous 180-acre park. With great hiking, loads of recreational activities to do (including disc golf), playgrounds for families, and lots more, it’s easy to spend a whole day here. If you are a hiker, try the timber tie stairs. They are a good challenge. Mt. Gilhead State Park is a great outdoor spot that isn’t a far drive. We know there are more great places in the area, more than we can probably count, so tell us about your favorites in the Facebook comments! Crestline and the surrounding area is a great place to live for many reasons. The people, the history, the whole vibe of the region. And there’s another good reason why it’s a great place to live: It has some fantastic places to eat! The name of this eatery in Galion says it all. It’s warm cozy, family-friendly diner that focuses on home style food. Yes, just like your grandmother used to make! When the craving for Mexican hits, it hits hard. Thankfully in Galion there is a fantastic Mexican restaurant and bar called El Tarasco to satisfy the craving. Good atmosphere, excellent drinks, and amazing salsa. If the friendly staff wasn’t enough, they have great food too. Their chimichangas in particular are winners. If you love Mexican, put this on your list! If you are craving Chinese, look no further than Hot Wok, one of the best Chinese places in the area. The lunch specials will make your wallet happy and if you like to mix things up, you’re in luck, because the menu variety is great. If you are adventurous, don’t skip their spicy dishes. They are perfectly balanced. And if you want a good hot & sour soup, this is the only place in Crestline that serves it! When you just want to unwind with friends and the family, Main Street Grill (formerly Hunger Paynes) is a great choice. Plenty of room, a great atmosphere, very roomy, and the staff is warm and friendly. All around it’s a very inviting atmosphere. The food here is classic American style food, so expect a good selection of roast beef sandwiches, steak, burgers, and other hearty eating. Basically, it’s comfort food - and that’s perfect for when you just want to unwind. Know of any other great places to eat in or near Crestline? Let us know in the comments! We may be a fairly sleepy little Ohio community here in Mansfield, where nothing too explosive happens and we like it that way, but that doesn’t mean it’s not an interesting place to be. Mansfield was founded on the Mohican River, across which spans the Bridge of Dreams near Brinkhaven, the second longest covered bridge in Ohio. The first home constructed in town was built by Samuel Martin - but he didn’t stay long. He was eventually chased out of the country for selling whiskey to Native Americans, which was illegal at the time. With an elevation of 1,200 feet above sea level, Mansfield is actually one of the highest cities in the state in terms of elevation. Mansfield is named after United States Surveyor Genera Colonel Jared Mansfield, who also directed its planning. But he is NOT the founder of the city. That distinction goes to James Hedges, Joseph Larwell, and Jacob Newman, who founded Mansfield in 1808. In 1913, the Lincoln Highway crossed through Mansfield on its way to becoming the first road to cross American coast to coast. According to FBI statistics, Mansfield is extremely safe. In 2012, for example, there was only one reported homicide for the entire year. The Highway Safety Foundation used to call Mansfield home. You know them from those horrific driving safety films they used to show in school. The Renaissance Theater, once known as the Ohio Theater, first opened all the way back in 1928. This historic location has hosted the Miss Ohio Pageant and countless musical theater productions. Mansfield may be a quiet little town, but it has more going on then most people realize! Did we miss anything? Tell us about it in the Facebook comments! Crestline may be a small Ohio town that not many people have heard of outside the area, but that doesn’t mean it isn’t connected to fame. Take a look at the greater Mansfield area and you’ll find some notable names have come from the area. If you grew up in the ‘90s, we don’t need to tell you who Luke Perry is. One of the stars of Beverly Hills 90210, Perry is from Mansfield, and went on to become a big television star in Hollywood as part of one of the most popular shows of the 1990s. He had that ‘90s hair and those ‘90s sideburns, and all the girls loved him. Local guy did well! He’s not a well known name anymore, but around the turn of the century this native of the area was an American hero. Day was a recipient of the Medal of Honor thanks to his actions in the American Indian War for ignoring an order to retreat, and instead advancing into enemy lines to carry away some wounded men. His bravery earned him the highest honor in the land. He died in 1927 and is buried at San Francisco National Cemetery. Born in Mansfield and now living in Florida, Gernhardt has done something you’ll never do, and he’s done it more than once: he’s gone to outer space. Yes, he’s an astronaut, with some 43 days total in space and over 20 hours doing spacewalks. That’s pretty amazing. Maybe one day it will be commonplace, but for now, that puts Gernhardt in rare company. Broomfield is a Pulitzer Prize winning author who helped pioneer groundbreaking new scientific ways to farm, helping better conserve land and resources while also helping feed the world. He helped develop important soil conservative practices and worked with the government to make those practices widespread. His work helped change the way we live – and it’s from a local guy! You may not know his name, but you might know his voice. Michael McConnohie is an accomplished voice actor with dozens of credits to his name, including popular characters like Ironhide and Hot Shot from Transformers, characters from Digimon and XenoSaga, and many more. He’s done loads of video games, cartoons, and more anime than you can name. If you’re into this scene, you know his work! Know of any other famous people from the Crestline and Mansfield region? Tell us in the comments! The season for giving gifts is here, and you know what means: time to run around trying to find the perfect gift for a friend, colleague, or loved one. You could just get a gift card, sure, but finding something personal and unique is a lot more fun. If you want to give gifts with a local touch, look no further than Pure Roots. With an emphasis on hand-crafted gifts made by local artisans, craftspeople, and artists, you’ll find everything from Christmas ornaments to home décor to knickknacks to items for the kitchen and more. This is a shop devoted to goods made right here in this area, by local artisans and craftspeople, so you can feel good about your purchase! There are shops and there are shops that are truly unique. This one fits firmly in the latter category! Antiquation boasts a wide variety of gifts focused around home décor, kitchen goods, and the home in general. Many gift shops do the same, but what sets Antiquation apart is that their gifts tend to be made from reclaimed materials. This stuff is handmade from who knows what, then turned into something new and fresh. There are fun, beautiful, interesting pieces here that you can’t find anywhere else, making this a great choice when you want a truly unique gift. There’s nothing like finding a hidden gem packed with secret treasure, and that’s just what Ruby Moon feels like. That makes it a great place to shop for gifts. Much of this shop is stocked with handmade goods (sometimes even made by the owner herself) as well as reclaimed items and more. It’s fun just to browse! If you want to find a gift that is interesting and unique, Ruby Moon is a great place to look. Boasting a mix of gemstones, jewelry supplies, beads, rocks, and minerals, the Something Special Shoppe is unlike any other gift shop in the area. It’s a breeze to find a unique gift here. The shop slogan is “treasures from Mother Earth,” and it’s easy to see why. With so many unique gifts to choose from, you’ll enjoy some good holiday shopping here. Take a lovely old barn. Now fill it with all kinds of unique decorations, hand-crafted goods, kitchen items, interesting gifts, and other great stuff for the house and home. Congratulations, you’ve just created The Parsley Pot, a wonderful gift shop in Ashland that you should check out this holiday season. With everything from candles to home goods to knickknacks and more, there is a lot of diverse stuff to dig into here! These are all fun places worth a visit this holiday season, and we know we’re only just scratching the surface of what’s out there. Any time of year is a good time to help others, but the sentiment grows during the holidays. With that in mind, we’d like to spotlight a few charities from the region who deserve your support. There are far more than we can ever list, so these are just a few of them. Tell us about others in the comments! One difference between us and animals is that animals can’t ask for help when they need it. That’s why local organizations like All About the Paw are so important. Working out of Mansfield, since 2013 this group has devoted themselves to giving unwanted animals a home. They focus on dogs that usually can’t find a home, i.e. those with behavioral issues, older dogs, black dogs, and so on. They don’t operate a shelter, which means they rely solely on foster homes – and that means volunteers like YOU are needed to help them! They have already saved hundreds of dogs and have grown into the region’s largest charitable pet rescue. Help them grow some more! Habitat for Humanity are not exclusive to our region, but operating out of nearby Galion, they do great work in the area. This organization’s mission is easy to sum up but not so easy to accomplish: they refurbish old housing and help provide new housing to people in need. They don’t just give away their services, either. Those who benefit from their work go through a rigorous application program, ensuring the work of donors truly helps those in need. They are deserving of your support! This unique charity helps get girls who have been abused up and running – literally! Girls With Sole is a Cleveland-based charity devoted to getting abused young women out and active through running programs. They provide equipment and opportunities that help boost the confidence of these girls, helping them lead better lives free of abuse. A worthy cause! The Sanctuary for Senior Dogs has a very important goal: to match older rescued dogs with loving homes. This charity is frequently among the best rated in the area for good reason. Their work speaks for itself in the happiness they bring these elderly dogs. When waiting to find a home, the dogs are given shelter, too. They do great work and deserve your support! During these cold Ohio winter months, the plight of the homeless gets more dire than ever. That’s why the Northeast Ohio Coalition for the Homeless exists: to help advocate on their behalf. They engage in lobbying and education efforts, plus more, in order to help us find a solution to homelessness instead of just treating the symptoms. Do you know of a charity in the region that deserves more attention? Please let us know about them in the comments! If you’re like us, you sometimes like to take a peek at the region’s weirder side. And believe us, there is plenty of weirdness to explore in Ohio, especially when autumn arrives. This old train depot is said to be one of the most haunted locations in the region, supposedly stalked by a ghostly man in a trench coat and a demonic entity. A “coffin room” on the second floor is, appropriately enough, the focal point for the haunting. Supposedly it’s been the site of several tragedies, adding a further creepy factor. It’s just a few miles outside Crestline, so it’s an easy trip to make. Head out to Cuyahoga Valley National Park to see Lock 27, better known as Johnnycake Lock. The tale is an interesting one. Back in 1828, just after the opening of the Ohio & Erie Canal, a deluge of rain filled the canal with mud. A boat got stranded inside Lock 27. The boat and its passengers were stuck for days with nothing to eat but Johnnycakes, a type of flatbread made with cornmeal. Now, legend claims the ghost of a child who drowned there haunts the place. Sounds creepy! The local historical society calls this place home – and so does a ghost! This place would be worth visiting for the museum alone; anyone who enjoys local history would like it here. However, what’s intriguing around the Halloween season is a disembodied man in black with white hair who supposedly haunts this place. Many museum visitors claim to have seen him over the years. Is he real? Pay them a visit to find out! About 20 miles outside of Cleveland you’ll find the remains of an old amusement park, overgrown and decaying. The amusement park once thrived, but has been abandoned since the 1970s. Keep in mind, this is private property, so you shouldn’t go wandering around there, but if you ever get the opportunity to visit the site expected to see old coasters, crumbling rides, trees overtaking a Ferris Wheel, and more. It’s a cool spot! You’ll have to head into Cleveland to see this one. The Lake View Cemetery in Cleveland is a pretty weird place in general, but the oddest thing there has to be The Haserot Angel. After all, its real name is The Angel of Death Victorious. Seriously! This angel statue looks like it’s crying black tears. Very creepy! The rest of the cemetery is filled with some odd sights, too, making it worth an afternoon walk for people who like to see weird stuff. Know of any great weird day trips to take near Crestline? Tell us about them in the comments! Mansfield may not be the best known city in the United States, but that doesn’t mean it isn’t an interesting one. The city’s official motto is “The Fun Center of Ohio.” You be the judge of whether or not that’s accurate. Though the city was founded in 1808 by James Hedges, Joseph Larwell, and Jacob Newman, it was named after United States Surveyor Genera Colonel Jared Mansfield, the same man who directed its planning. The first house built in Mansfield was owned by Samuel Martin, who was chased from the country for illegally selling whiskey to Native Americans. The town was officially incorporated as a village in 1828, then as a city in 1857. At the time, it had a population of just over 5,000 people. Railroads helped the city’s population explode, tripling by the year 1890. The first road across America was the Lincoln Highway, and in 1913 is crossed through Mansfield, meaning that for a time Mansfield was literally part of the network that connected the whole country together. In the early 20th Century, manufacturing was the heart and soul of the town, led by Westinghouse Electric Corporation and the Tappan Stove Company. Westinghouse alone had 8,000 employees and made home appliances and other electric products. In the 1950s, ‘60s, and ‘70s, Mansfield was the home of the Highway Safety Foundation. That may not sound familiar, but their films will: this is the group that produced those horrific driving safety films you saw as a kid when you were in school. Movies about highway fatalities aren’t the only ones filmed here. Portions of Tango & Cash, The Shawshank Redemption, and Air Force One were also filmed here. The Miss Ohio Pageant, which is a preliminary pageant for Miss America, is held in Mansfield at The Renaissance. Johnny Appleseed isn’t an American legend. He was actually a real person. His real name was Johnny Chapman, and he had a tree nursery right here in Mansfield. Interesting stuff, isn’t it? Just goes to show that our sleepy little community is a lot more interesting than people realize! 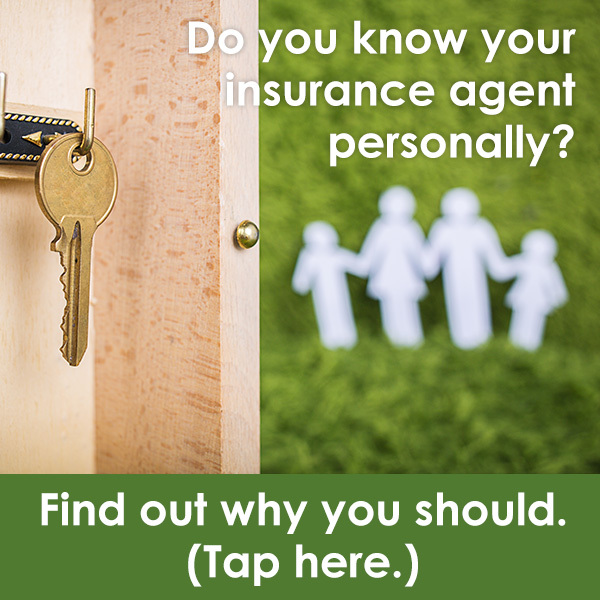 We all have insurance agents. It’s just a part of modern life. Call your corporate insurance agency and you never know who you’re going to speak to. It will be just another anonymous person in their customer service center. Calling your local independent insurance agent, on the other hand, is much different. You will KNOW who you’re talking to and will develop a relationship with them! It’s a pretty big difference between working over the phone with some big corporation and working with your local independent agent. You can call us anytime, or even look us in the eye and ask your questions! Being able to actually stop in and visit our offices is something the giant corporate agencies can’t provide you. It’s true. Unlike the nameless number you speak to on the phone, your local agent can come right to your home to work with you. Doesn’t get any better than that! Do you want to deal with a big bureaucracy when trying to insure unique items like jewelry, musical instruments, and others? Of course not! That’s when having a local agent becomes a blessing. We can work with you one-on-one to give you an experience the big guys can’t. Your local agent actually LIVES in your areas, which means they can recommend local contractors and repair shops when you’ve had a mishap. Think you’ll get that from corporate agents? If you do, it will be with some chain they’ve partnered with rather than an actual recommendation. One HUGE difference between corporate agents and independent agents is that independent agents are advocates for you, not the stockholders. After a claim, they will actually review the damage to ensure you are treated fairly by the adjuster, for example. That’s because their focus is on YOU, not some corporate headquarters. You don’t have to love pickles to love this event! It’s named after a creek that once ran through town. Heise Park in nearby Galion will be packed with a variety of family-friendly activities, with popular favorites like the YMCA 5K, a cool Disc Golf Tournament, the Golden Age Center Car Show on Sunday, fireworks, and more highlighting the weekend long event. The 5K begins at 8:30am on July 6, with other events spanning all day July 7. The event was first held in 1978. After a long hiatus, it finally returned last year! After that, kids between 8 and 17 can sign up for FREE AIRPLANE RIDES. Registration begins at 11:30am. There will also be planes on display, an antique car show, and if the weather cooperates, an F-16 fly by. Great way to get July off to a good start! Enjoy FREE rides at Richland Carrousel Park from 10am to 2pm at the Mansfield Children's Festival, sponsored by McDonald Restaurants & Mansfield Richland County Public Library! The Carrousel Grill will be fired up and will be serving Brats and Hot Dogs. There will also be chips, pop, water, caramel corn, old-fashioned soda, candy, etc. for a nominal fee! Each booth at the event will have an activity or handout for a child and special sales in the Gift Shop. It's a great family day out! If you like things on the scary side, take a short drive into Lucas (4050 Bromfield Road) for the July Night Haunt, presented by Malabar Farm State Park. From 8pm to midnight, you’ll explore murders, cemeteries and haunted houses, and finish things off with hot dogs and s'mores around a campfire. Pre-registration is required. This event is not recommended for young children! If you know of any other cool events happening nearby this July, let us know! We’d love to help promote them. We know how difficult it is to keep the family happy and focused, especially during the school year. It’s easy for everyone in the house to go stir crazy! It can get expensive going out to eat, however. That’s why we gathered this list of nearby places where kids can eat free. That way you can get out of the house without spending a lot. purchase of an adult entrée. If you like home style American food that is very filling, Bob Evans does it – and when the kids can eat free, well, that’s a nice bonus! If your family loves hearty meat, Texas Roadhouse will be a treat. Huge portions of fantastic BBQ, with just about everything you can imagine, plus on Mondays kids meals are just 99 cents from 4:30pm to 7:30pm. It’s hard to go wrong with pizza, and you sure won’t be going wrong at Two Cousins. When it comes to the family, pizza is always a winner! Two Cousins has terrific mix of traditional East Coast pie and thick Midwest pie. There’s a reason why so many Ohio families have been going here for many years! And on most days, for every $5 a kid can make their own personal pie! When you’re ready to mix things up, try the buffet at Hong Kong Buffet. They have great Asian food of many types, a large selection, and buffets are always fun for the kids. Even better, every day kids eat free with the purchase of two adult meals and drinks. Good bang for your buck! You can’t mention food places to eat without mentioning an Italian place, and Cicis is just what you want when the family is hungry. Wonderful traditional pasta dishes, generous portions, good prices, and a comfortable like-home feeling make this a great stop for the family. Plus, they always have a free pizza buffet for kids 3 and under. We know a lot of you out there know about some other good choices to eat with the family. We want to hear about them. Let us know in the comments. We may even recommend them in a future column! Driving costs money, and every time the price of fuel increases, driving costs you even more money. Thankfully, these tips can keep your expenses at a minimum. Keeping your tires at proper inflation pressure can improve your gas mileage by over 3% while under-inflated tires can lower gas mileage. You can check the proper tire pressure by looking inside driver’s side door or in the glove compartment. Also, keep in mind that you should check the tire pressure when the temperature has dropped. This is because tires can lose 1 to 2 lb. of air pressure for every 10°F the temperature falls. From getting your oil changed to tune ups, replacing your air filter, and more, making sure your auto is regularly maintained is essential to saving money at the gas pump. Replacing the air filter can improve engine performance, and as a result, gas mileage. Using the right grade of motor oil can also increase in fuel economy. Even a simple tune-up can increase your mileage by 4%. Only drive as much as you need to. Combine trips when you can. If you can take the bus or train to work, do it. Even better, if you can ride a bike or walk, get some exercise while saving money on gas. Having a messy car may not seem like a big deal, but getting all that extra weight out of your vehicle will let you get every last bit of fuel economy from your car. The small things you keep in your car may not weigh much on their own, but they can add up if they are sitting in your car all the time. Running the air conditioner impacts your gas mileage only if you are doing city driving or are in stop-and-go traffic. In those instances, open the windows instead of running the A/C. If you are on the highway, however, running the air conditioner is the more economical option. That's because keeping the windows up and the A/C on cuts down on wind resistance, improving fuel efficiency. You might want to put the pedal to the metal but doing that can empty your gas tank FAST. Studies show that accelerating and stopping gently can cut gas consumption by as much as 35%. It only takes a few extra seconds and could help you save gas. Wait until you have a quarter tank before you refill your tank. You'll benefit from carrying less fuel weight, but when you do visit the pump, fill up all the way, otherwise you are wasting fuel driving to the gas station more often than you need to. Technology can help you save gas. Before you take a trip, check a map app to calculate the shortest route to your destination. If you do it just before you leave, you can even verify the traffic to see if traffic is heavy, that way you can adjust your route accordingly. Be choosy when looking for a gas station. You don’t have to drive around to do it either. You can use a smartphone to look up gas prices, or use websites that can help you find places to buy less expensive fuel. Also watch for gas stations that charge you more to pay with a credit card. Hot weather can actually increase your fuel economy. This is because your engine warms up to an efficient temperature quicker than in the winter, and also because warm air causes less aerodynamic drag. When the weather gets warm, we all want to get outside and spend some time under the sun. That’s true for your dog, too! They love the outdoors and getting plenty of exercise, so getting out to some local parks is a must for them. Thankfully, there are some good options for you if you live in the Mansfield / Crestline area. If you want to spend an afternoon out with your furry friend, we’ve got four places worth checking out. And your dog will thank you for it! With separate enclosures for large dogs and small dogs, Peppy Paws is a great place for dog owners who want to feel secure that their furry friend won’t get into too much trouble. The park is well maintained and clean, and there is plenty of room for you and your pet to stretch your legs. This off-leash park has distinct areas for large and small dogs, and there is plenty of room for them to run. Big dogs have some fun obstacles to add to their enjoyment, too. The other owners tend to be friendly, too. Just be sure to bring some water, as there aren’t many shade trees here. Though this isn’t a dedicated dog park, leashed dogs are welcome here, which means it’s a large area with lots to see, do, and explore for you and your pet. During the off season, the beach is open to dogs, too, making it a great spot to check out once the summer has wound down. As one of 1,600 trails supported by the Rails-to-Trails Conservancy, Richland B&O is less of a park and more of an adventure. Take a long walk through a natural setting with your dog. There is so much for them to see and sniff, they’ll come home exhausted and content. And so will you! Few things are better than spending some time outside with your pet, and now that winter has passed it’s the perfect time of year to do it. With these four selections, plus others we have overlooked, you’ll have plenty of opportunity to do it, too. Now that spring has sprung, many in our region are pining to get outside and enjoy the fresh air. Head to Bromfield for a relaxing walk through the rolling fields of Ohio. The property is beautiful and is still a working farm. The annual Maple Syrup Festival is a real delight, and there is a surprising amount of Hollywood memorabilia here, too. This is a day trip you won’t want to skip! Located right here in Crestline, this 38-acre park includes the educational Lowe-Volk Nature Center and all its programs, plus beautiful natural land, a rich history, and surprisingly varied ecosystems packed into a relatively small location. If you’ve never fully explored this local treasure, we urge you to do it this spring! Okay, so maybe the Seneca Caverns in nearby Bellevue does not qualify as “outdoors,” what with them being caverns and all, but it’s still a fascinating place to visit when you want a little adventure in your life. Nothing like exploring some caves in a safe, controlled environment! Just be warned ahead of time, you’ll be in cramped spaces and will have to do some work to get the full experience. If you have physical disabilities or limited mobility, this trek may not be for you. 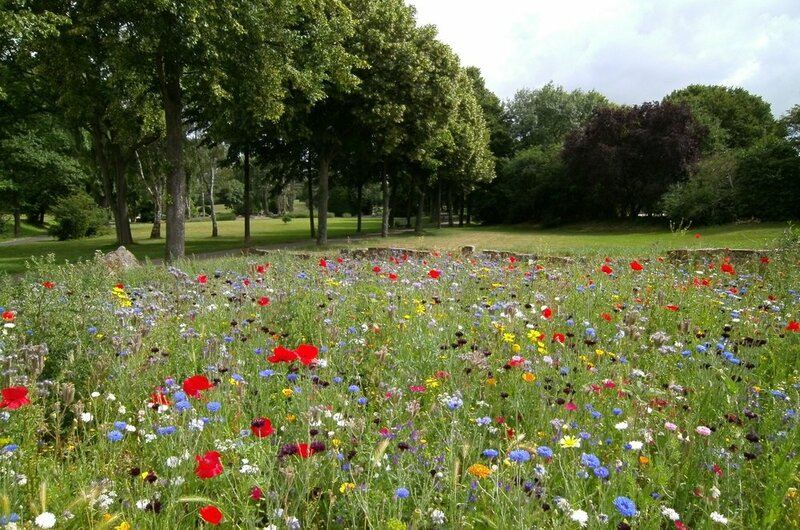 People are often surprised at how much beauty is packed into this 180-acre park. From good hiking to tons of recreational activities (including disc golf), playgrounds, and more. There are even some timber tie stairs that will present a challenge to some hikers. This park is a great outdoor spot that isn’t a far drive. Head over to Manfield for some nicely shaded nature trails that are perfect for a sunny spring day. The trails are well taken care of and well maintained, and they’re well marked to ensure you are always on a course. It’s one of the most relaxing walks in the area! We know there are many other great places nearby to get an outdoors experience this spring. Tell us about them in the comments! Crestline, Ohio is a fantastic town for many reasons, the people chief among them, but there’s another good reason why it’s a great town that is close to our hearts – and stomachs. It has some fantastic places to eat! 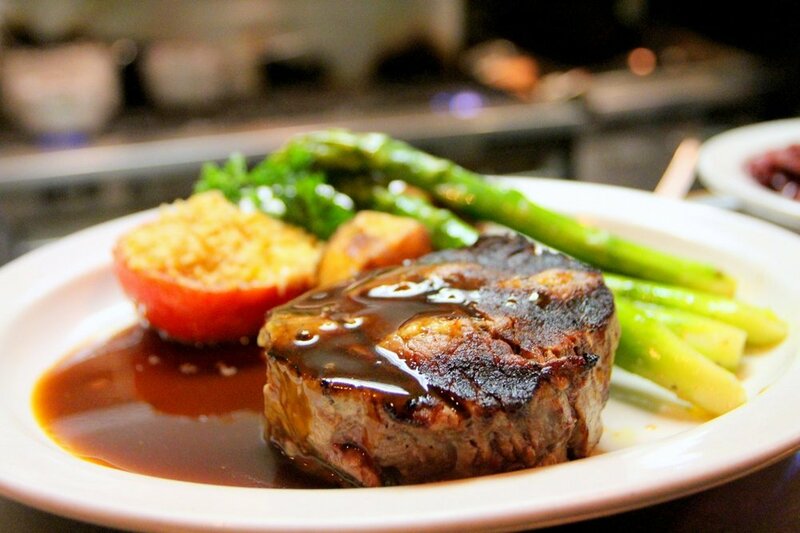 Here are five places in or near Crestline we recommend if you want a good meal. Roomy, open, and boasting plenty of space, Hunger Payne’s is a great place to unwind. The staff is warm and friendly, and so are the people. The food here is classic American fare like roast beef sandwiches, steak, burgers, and the like. It’s traditional stuff done a traditional way, making this spot all about comfort food. Located in Galion, the name says it all. This family-friendly diner is all about home style food like your grandmother used to make. We are particularly partial to their breakfast. Huge portions and giant sandwiches mean breakfast at Granny’s will keep you full all day long! Taylor’s in Galion is a classic small town diner with all that you’d expect from such a place: friendly service, a cozy atmosphere, and home style food. Their burgers are great and they have outstanding fries, but for our money it’s the milkshakes that keep us coming back! One of the best Chinese food places in the area, the folks at Hot Wok know how to make it right. The lunch specials are great and the menu variety is excellent. The spicy dishes here always hit the spot, and it’s the only place in Crestline where you can get hot & sour soup, so that’s a huge bonus! Head over to Galion for a great Mexican restaurant and bar. Come for a drink, stay for their amazing salsa. The staff is great and their chimichangas are way better than you’d expect from a small Ohio town. If you love Mexican, put this on your list! Gift giving season is here, and that means the scramble to find a good gift is on. You could go down to the mall or get a gift card, but isn’t finding something personal and unique a lot more fun? Imagine an old barn stuffed with all sorts of unique decorations, hand-crafted goods, interesting gifts, kitchen items, and tons more for the house and home. That’s The Parsley Pot, a great hidden gem in nearby Ashland that deserves a visit if you’re shopping for gifts. From candles to knickknacks to much more, even stuff for pets, there is a lot of variety to dig into here! When you want gifts with a local touch, Pure Roots is a great choice. With a focus on hand-crafted, locally made gifts, you’ll find everything from Christmas ornaments to knickknacks to kitchen and home goods, plus much more. The store is dedicated to stuff made right here in this area, by local artisans and craftspeople, so you can feel good about your purchase! Talk about unique. The folks at Antiquation offer a variety of gifts focused around décor and the home. That in itself is not unusual, but the nature of their gifts is: they tend to be from reclaimed materials, hand made to turn them into something new and fresh. These are terrific, fun, interesting pieces that you won’t find anywhere else, making this a good stop when you want a truly unique gift. Rocks, minerals, gemstones, jewelry supplies, beads – you won’t find many shops like this one! It’s a throwback to the sort of stores you just don’t find anymore. It’s easy to find a unique gift here. These are truly “treasures from Mother Earth,” as the shop slogan says. Give them a visit. We think you’ll be surprised. A hidden gem packed with hand-made goods, this is a secret little treasure spot that makes for good gift shopping. Much of the store is stocked with hand-crafted goods (often made by the owner herself) along with reclaimed items and more. Just browsing can be a lot of fun! If you’re in a pinch when it comes to finding a gift, try Ruby Moon.